Have you ever felt that aching pain in your lower back? If you have, you are not alone. Back and neck pain is very common, and about 80% of people experience back pain at least once in their lives. There can be many reasons for back and neck pain, like injuries from car accidents, or from lifting heavy objects. One of the most common causes of back and neck pain is too much sitting. You may not believe this, but recent studies show that too much sitting can lead to chronic back and neck pain. You may feel much comfortable while sitting, but it puts great pressure on your lower back and spine. If you are not careful enough, this can lead to neck and back pain. Back and neck pain is a very common problem in deskbound workers. One thing you can do to prevent this problem is to walk around a little while at work. Additionally, make sure you stand or stretch every two hour or so. Another thing that you can do to prevent back pain is to incorporate exercise to your daily routine. There are many home remedies for back and neck pain relief. You can put icy hots over the area in pain for immediate relief. This is a very popular home remedy for pain and does not have any side effects. If you fell any swelling in the area, you can use an ice pack to reduce the swelling; if you feel tensed, you may use heat to reduce the pain. Rest is necessary in order to alleviate neck and back pain, and the best rest position to reduce back pain is the 90-90 position. This position will help reduce the pressure in the neck and back region. If you want better results, a spine pain management center would help you get accustomed with the position, and reduce pain in the most effective way. 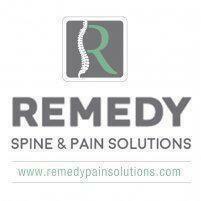 Call Remedy Pain Solutions today!